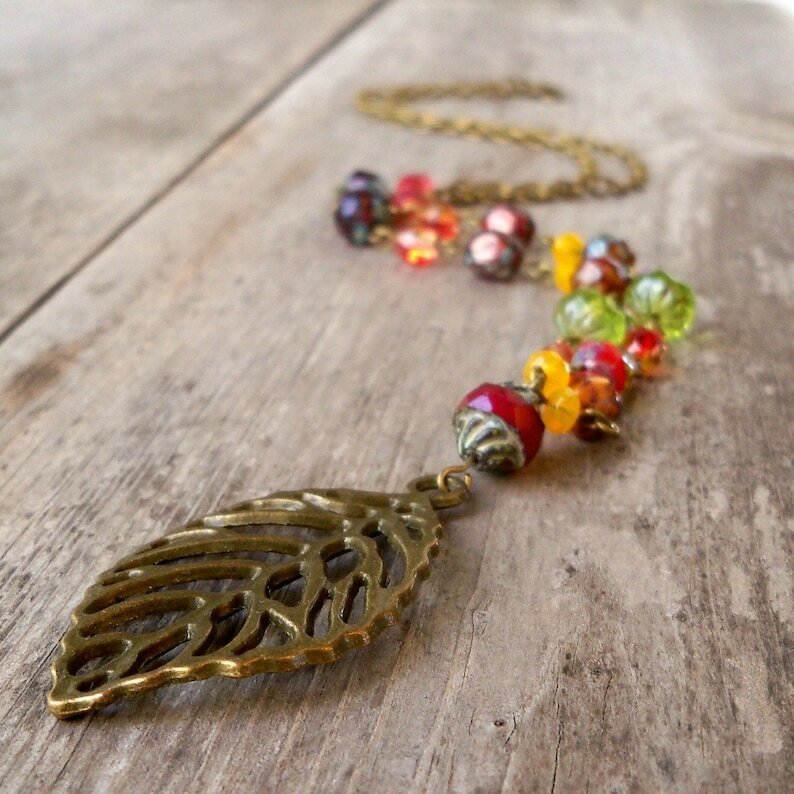 This is an autumn colored, leaf pendant necklace. It is full of beautiful fall colors. The beads are all Czech glass beads of the highest quality. The chain is antique brass. The smallest beads on this necklace are 3 x 5mm. The largest is 10mm. The necklace can be worn layered with another necklace, as shown in the last photo. This necklace is 26" with a 2 inch leaf pendant. I am happy to make it your perfect length. I also have other pendants available. They are shown on the third photo. The leaf will give you the scale of the other pendents.